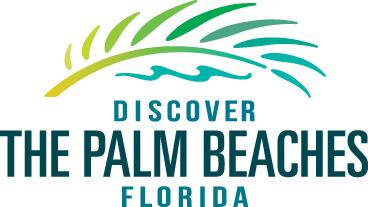 Discover the Palm Beaches, 1555 Palm Beach Lakes Blvd., Suite 800, West Palm Beach, FL 33401. We can be reached via email at info@palmbeachfl.com or you can reach us by phone at 800.554.7256. TAG Advertising, 75 SW 15th RD, Miami, FL 33129 and 205 Worth Avenue, Suite 301E, Palm Beach, FL 33480. We can be reached via email at info@tagad.com or you can reach us by phone at 800.226.9988. When you give us your name, e-mail address or mailing address, we only use it to fulfill your request for materials or to supply you with future information that you have indicated that you wish to receive. If you participate in a contest or other promotional feature, we may ask for your name, address and e-mail address so we can administer the contest and notify winners. We know e-mail addresses and other personally identifying data about visitors to this site only when voluntarily submitted or posted to us by a user of our website. When you complete an online survey on our site we may ask for contact information (e.g. your e-mail address) and, sometimes, demographic information (e.g. your age, zip code, travel habits, travel history, destination preferences, income range, gender, family size). We use this information to better understand our visitors and potential visitors and to improve this website and our travel products. We do not share any personally identifying data about our website visitors with anyone. However, we reserve the right to, without notice to you, share non-public personal information with companies, partners and associates that work for or with us for the sole purpose of providing you with valuable services you’ve requested or already have through our website. These companies, partners and associates may assist us in fulfilling your requests or processing your transactions. We will only share information with companies, associates and partners that work for or with us to provide marketing and other services and with whom we have entered into a joint marketing agreement. These companies, partners and associates are contractually forbidden from disclosing our using our customer information other than to carry out the purposes for which the information was disclosed. These companies, associates and partners are in no way authorized to sell, rent or trade your personal information. While there are such contractual obligations in place, we cannot and do not guarantee that a third party could breach its obligation and use your non-public personal information in a way contrary to our policy. We may also disclose information, including non-public personal information, in special cases when we have a good faith belief that such action is necessary to: (a) conform to legal requirements or comply with the legal process such as, but not limited to, situations when we are required to do so by federal, state or local laws and regulations or when we receive a subpoena or are ordered by a court to do so; (b) protect and defend our rights and privileges; or (c) act to protect the interests of our users or others. Additionally, we may, without notice to you, provide aggregate statistics about visitors to our website, such as volume, traffic patterns and related site information to reputable third party vendors, but these statistics will include no personal information. We endeavor to maintain strict security over all the information about the activity of visitors to this site. In addition to the foregoing, we use the information you share with us to reply to your requests, to update or improve our website and our individual and group travel products, and to assist with marketing research. We monitor website visitor traffic patterns to guide our further development and improvement of the site itself and to determine the effectiveness of our website content, programs and advertisements. We may also use the information we collect to notify you of changes to the website, services and special offers we think you may find interesting and valuable. TAG & DTPB exercise reasonable care to protect your non-public personal information. This includes storing the personal information on our servers behind a secure firewall and ensuring all transmissions to other vendors use secure encryption technology. Unfortunately, no data transmission over the Internet can be guaranteed to be 100% secure. So, while we strive to protect your non-public personal information, we cannot guarantee the security of any information you transmit to us or receive from us. This is especially true for information you transmit to us via e-mail. We have no way of protecting this information until it reaches us. Once we receive your transmission, we maintain physical, electronic and procedural safeguards to protect your personal information. Internally, we will limit access to non-public personal information to those associates, partners and employees who need the information to provide products and services to you or maintain or service those products or services. These associates, partners and employees are limited in number, and are committed to our privacy and security policies. As a condition of your use of this website, you agree that you will not use this website for any purpose that is unlawful or prohibited by these terms and conditions of use. Actions that you agree not to take include, but are not limited to: (a) taking or attempting to take any action that grants you access to the website to an extent greater than authorized by TAG or DTPB; (b) taking or attempting to take any action that results in an unauthorized modification, addition, or deletion to the website; (c) taking or attempting to take any action that violates the security of the website; (d) taking or attempting to take any action that would impose an unreasonable or excessively large load o the website’s infrastructure; or (e) knowingly providing false or misleading information to TAG or DTPB. In addition, you are prohibited from posting or transmitting to or from this website any unlawful, inflammatory, pornographic, threatening, libelous, defamatory, obscene, scandalous, or profane material, or any other material that could give rise to any civil or criminal liability under the law. You hereby agree to indemnify, defend and hold both TAG and DTPB, and all of their officers, directors, agents, employees, information providers, associates, licensors, and licensees (collectively, the “Indemnified Parties”) harmless from and against any and all liability and costs incurred by the Indemnified Parties in connection with any claim arising out of any breach by you of the terms and conditions of this policy or any other policy contained on the website, or the foregoing representations, warranties and covenants, including, without limitation, attorneys fees and costs. Visitors to and users of the website are advised that information contained therein is believed to be accurate. Notwithstanding the foregoing, TAG and DTPB makes no representation regarding the completeness, accuracy, or timeliness of such information and data or that such information or data will be error-free. A user may choose to remove themselves from our mailing list by following the “unsubscribe” instructions stated on our promotional communications. This website and all of the materials contained therein, including the HTML code, source code, and any other code used to generate any portion of this website, are the copyrighted property of Black Label Branding, Inc. and TAG Advertising or of third parties who have licensed Black Label Branding, Inc. to use their property. None of the content or data found on this website may be reproduced, republished, distributed, sold, transferred, or modified without the express written consent of Black Label Branding, Inc., provided, however, that users may reproduce a single copy of any webpage for their personal use. In addition, the trademarks, logos, and service marks displayed on this website (collectively “Trademarks”) are registered and common law trademarks of Black Label Branding, Inc. and DTPB respectively and/or third party service providers. Nothing contained on this website should be construed as granting, by implication, estoppels, or otherwise, any license or right to use any of the Trademarks without the express written permission of Black Label Branding, Inc. and/or the appropriate third party service providers. Black Label Branding, Inc. and TAG Advertising have created this site as a service to DTPB and its members.